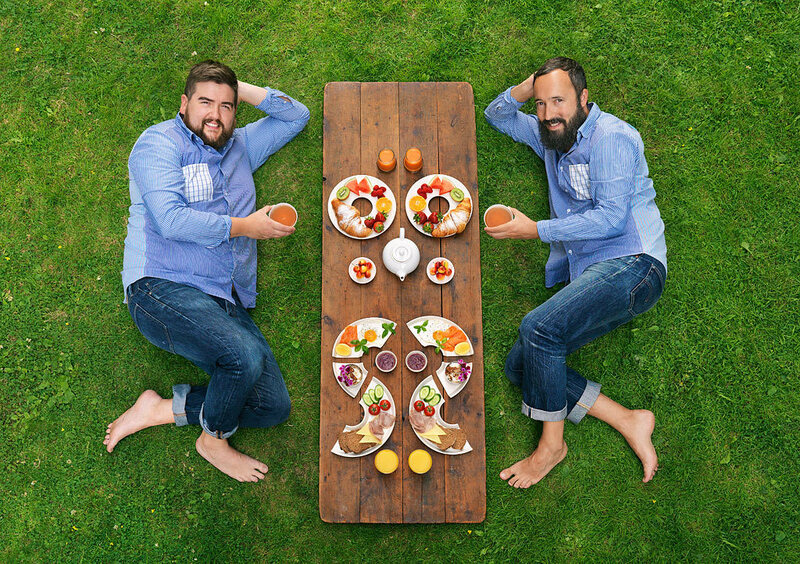 We spent a great few hours recently photographing the guys behind Symmetry Breakfast for Observer Food Monthly, commissioned by picture editor Kit Burnet. Michael Zee and Mark Van Beek were very welcoming - Michael even fed us various tasty snacks while we worked. To get the perfect shot of them arranged like one of Michael's symmetrical breakfasts, we balanced a stepladder on top of a table and intrepidly climbed up the somewhat unstable rig, aided by my trust Gitzo Giant tripod. Click here to see more photographs of people.